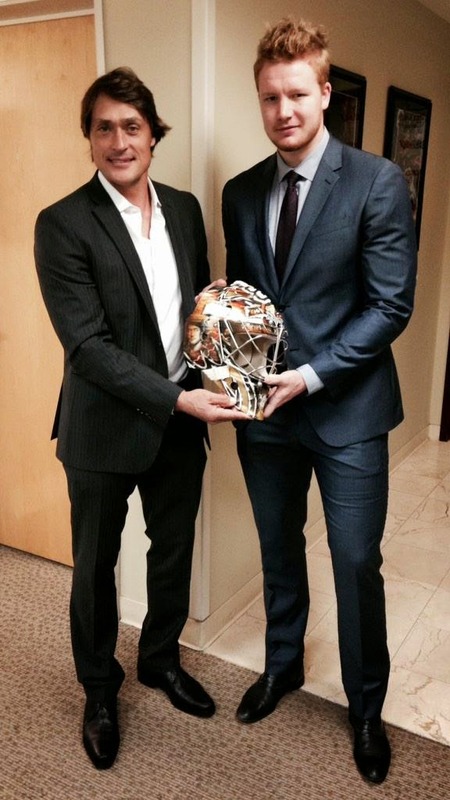 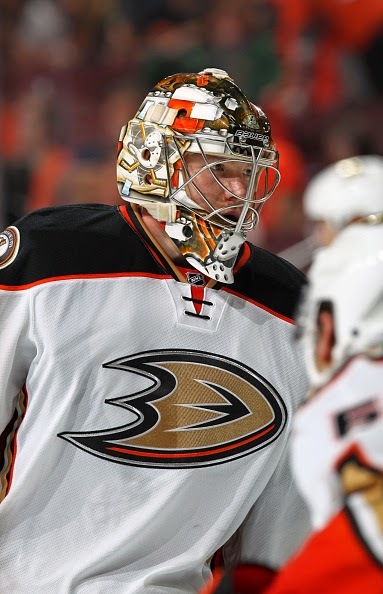 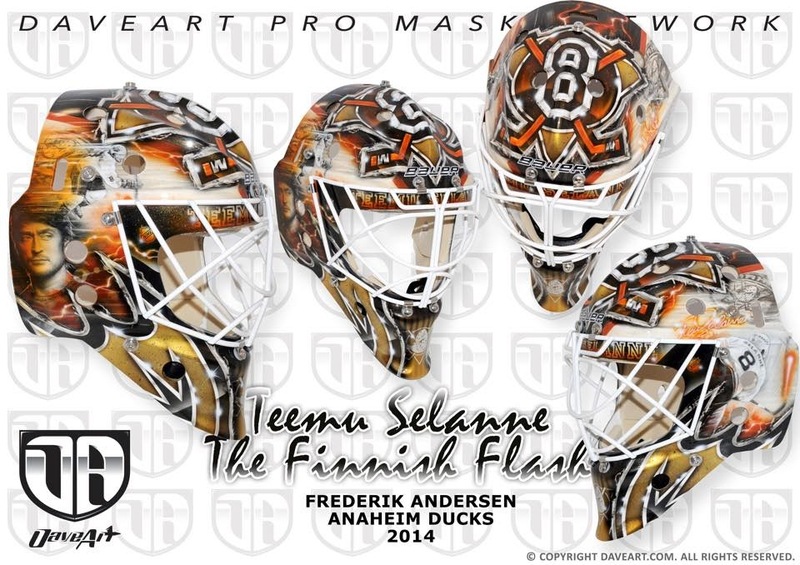 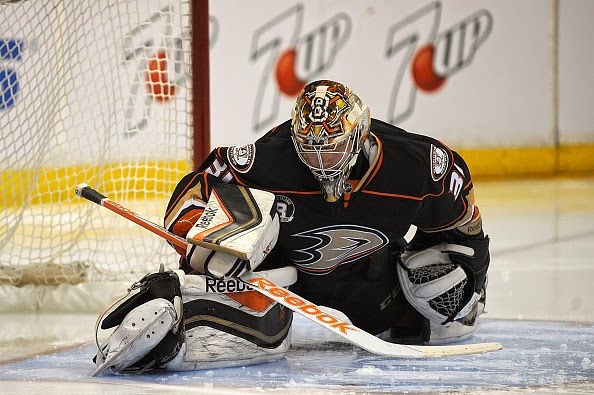 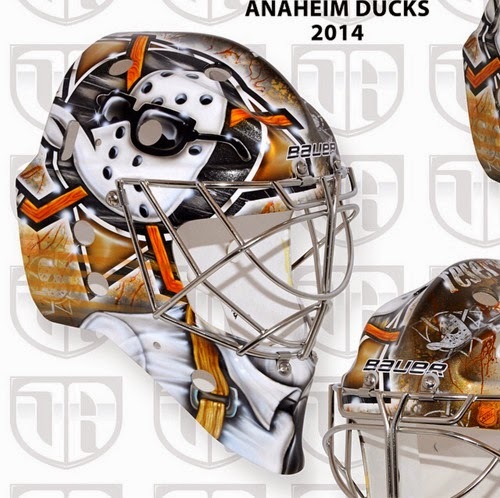 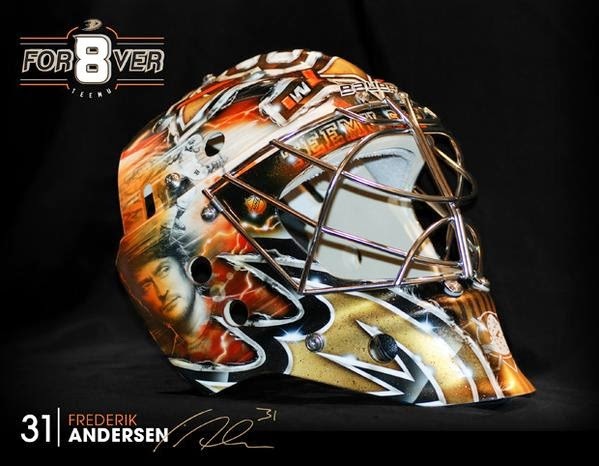 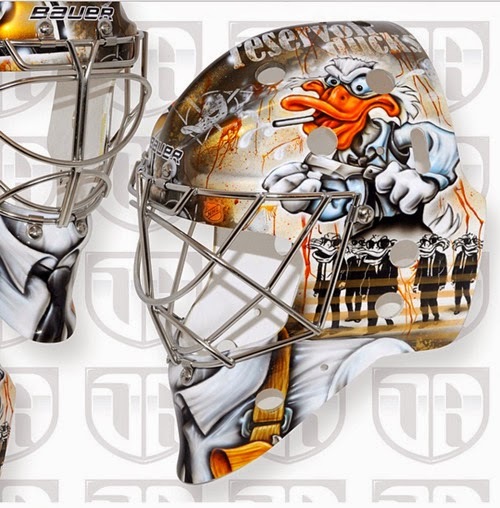 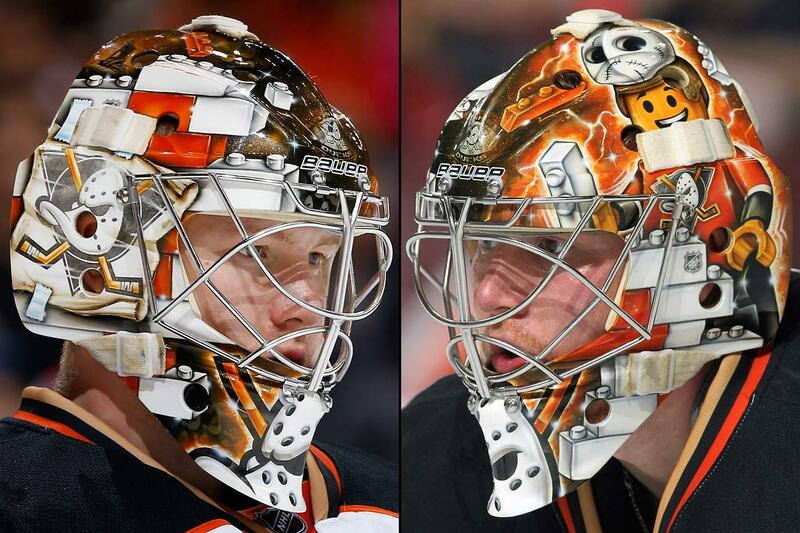 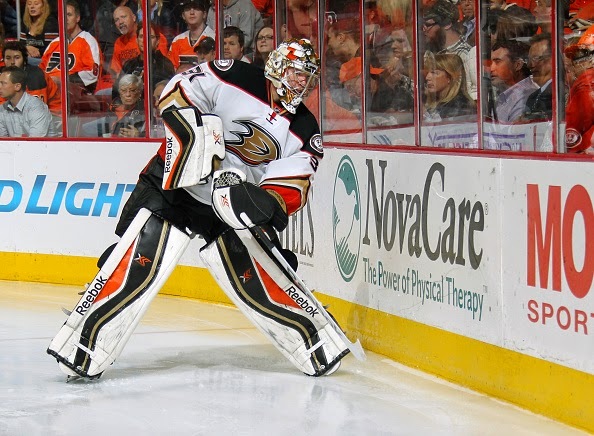 Update: January 2015 - Andersen added one more mask this season...a tribute to Teemu Selanne that he wore during Selanne's jersey retirement ceremony on January 11th. David Gunnarsson is the artist for both masks. 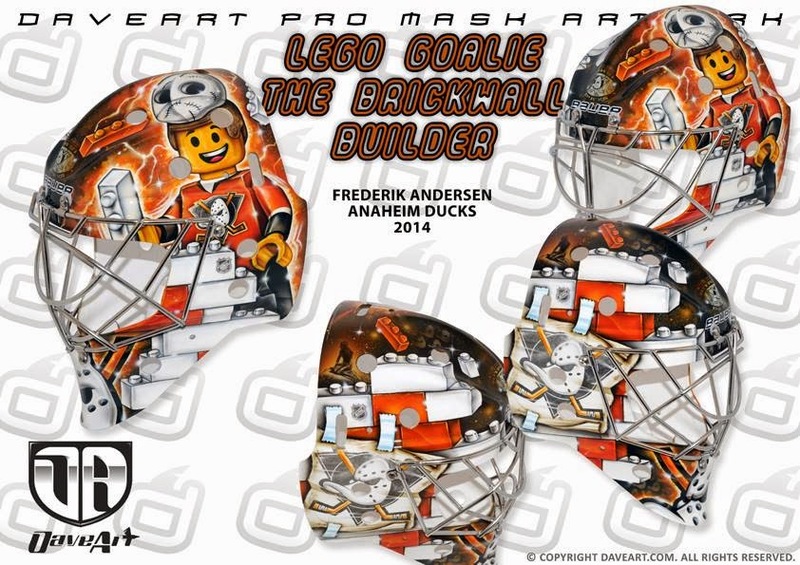 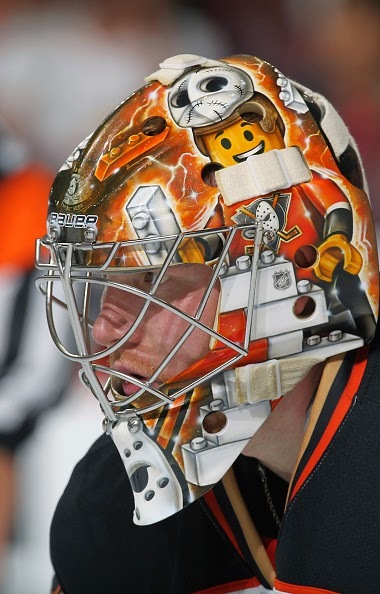 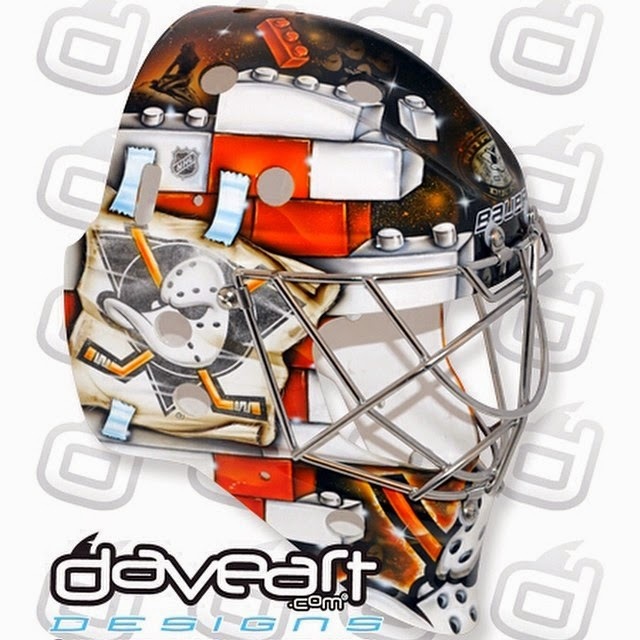 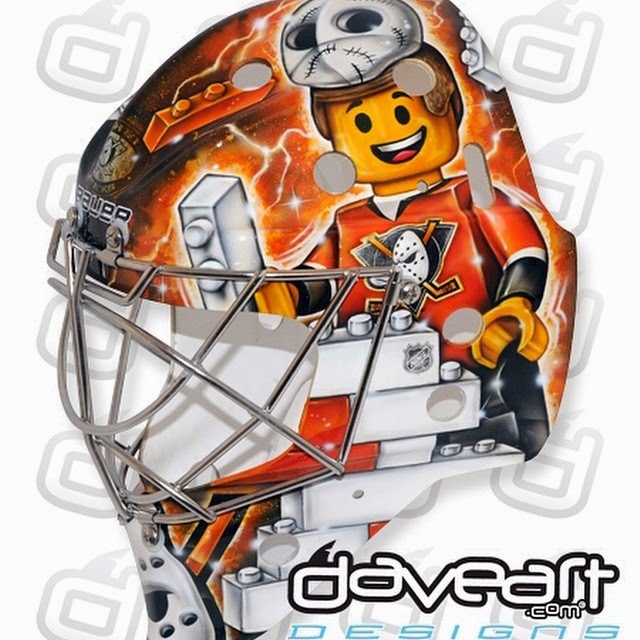 He began the season with a LEGO Movie themed mask. 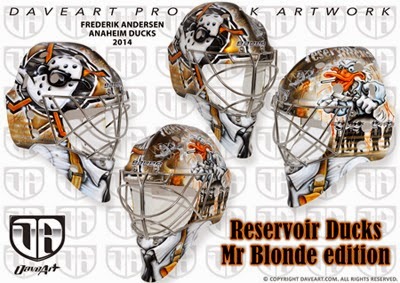 And on the other side the Ducks logo, and as a true Reservoir Duck of course he wears sunglasses.